U.S. 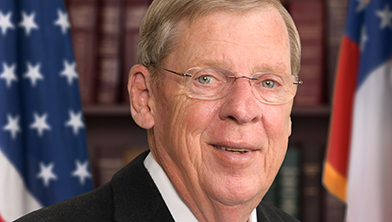 Senator Johnny Isakson is a successful businessman with 40-plus years in the real estate industry who has built a respected record of public service to Georgia and the nation. Johnny holds the distinction of being the only Georgian ever to have been elected to the state House, state Senate, U.S. House and U.S. Senate. Johnny is the only Republican in the Senate chairing two committees — the Senate Ethics Committee and the Senate Veterans’ Affairs Committee. He also serves on the Senate Health, Education, Labor and Pensions Committee, the Senate Finance Committee and the Senate Foreign Relations Committee. U.S. Senator Johnny Isakson will be hosting this live town hall meeting via telephone to speak with you about issues that are important you, your families and the nation. Sign up here to participate in this live event.